What Improvements Will the Combination of CosmoLex and Tabs3 Provide to Law Offices? At the beginning of October 2018, Tabs3 Software announced that it had acquired CosmoLex. This makes it the most complete offering of its kind. Understanding what they are independently will help clarify what they can accomplish combined. Tabs3 is Windows-only software designed specifically for law offices. Among other things, it performs timekeeping and billing on desktops. It can be paired with certain add-ons to work with the Legal Electronic Data Exchange Standard (LEDES). This specifies the file formats used to facilitate the safe transmission of electronic data in the legal industry. These help keep a firm compliant. Although Tabs3 is fully-customizable, it is not portable, and it is a bit complicated. Generally, it works well for partnerships or firms that have onsite IT assistance. It is user-friendly, but can be a bit difficult to set up. Additionally, Tabs3 Billing provides seamless integration with other Tabs3 products like the accounting, financial, and report-writing software. It integrates with Quickbooks, Tabs3 Cost Recovery, Tabs3 General Ledger, Tabs3 Trust Accounting, and Practice Master, which is the law practice manager software. It does not have an Android or iOS application at this time. An easy upgrade to Tabs3 Premium and the mobile interface Tabs3 Connect, however, allows users to access the programs on their smartphones or tablets. CosmoLex is one of the fastest-growing cloud-based platforms. It is very popular with solo practitioners and in small offices. 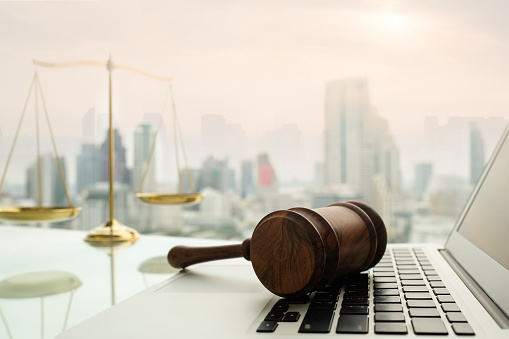 As of 2018, it is used by thousands of law firms. Over 20 State Bar Associations endorse it, as well. CosmoLex provides a comprehensive law practice management system. It offers the convenience and security of legal time and online retainer and invoice payments. The built-in accounting feature (LawPayTM) takes care of the bookkeeping for every credit card transaction. CosmoLex also ensures that law office accounting is fully compliant. There is no contract required for CosmoLex. For a small pay-as-you-go monthly fee, firms receive access to all of its features. For no additional charge, they also receive all of the newest features as soon as they are added. Plus, customer onboarding, training, and support are provided by CosmoLex’s in-house team free of charge. Since it is cloud-based, it can be used with an app on iOS and Android. This allows attorneys to handle the business end of their practice anytime, anywhere. How Will the Acquisition of CosmoLex by Tabs3 Benefit Law Offices? Now that Tabs3 Software has acquired CosmoLex, what does that mean for the legal field and individual firms? With the existing customer-base of each, together they will be serving over 100,000 lawyers with locations in Canada, as well as the United States. Combined, this becomes one of the most versatile legal practice management options available. It offers both cloud and desktop software solutions. This makes it ideal for solitary legal professionals, as well as small and mid-sized offices. It offers the advanced features, control, and security of an established desktop product, and adds to that the lower-priced billing of a cloud-based product. Accounting, billing, practice management, and seamless integration are the key aspects that CosmoLex and Tabs3 together supply. In fact, that is what will make this a total solution for many law firms. With so much at stake in the legal sector, attorneys can expect more procurements, such as Tabs3 acquiring CosmoLex, to take place. Not only do these actions benefit both of the companies, but they make things easier for their customers as well.